The annual Malayalee festival of Onam is a time to commemorate the prosperous reign of King Mahabali with joyful feasting, fun activities and festive wishes. 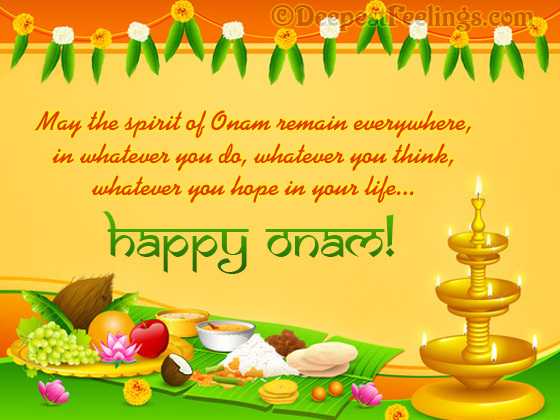 Celebrate this wonderful festival with DeepestFeelings, that brings you an amazing array of e-cards themed to Onam that you can send to your friends, relations and acquaintances absolutely for free. 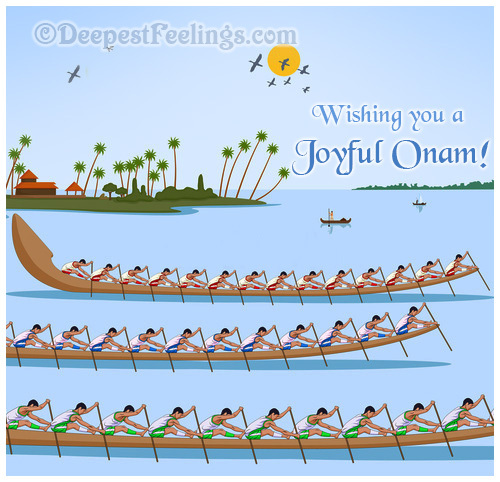 Check out these free Onam e-cards and send whichever you like to your loved ones. If these Onam cards impress you, please feel free to click here and refer them to your friends and close ones. Onasamsakal!